The best machines tend to have too big a footprint for most workshops, so it is good to see that after a period when there was a dearth of nice small machines with cast-iron tables, the likes of Scheppach, Axminster and Jet are bringing them back in the form of some very nice kit. 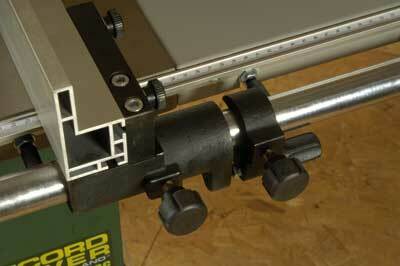 I was, therefore, eager to find out if Record's small tablesaw would match its neat looks in accuracy. The fence mounting is a good solid round bar with a fine adjuster. The knobs are a little cheap, but there is a substantial block of steel fence to which the fence itself is mounted and this is all ship-shape and square. It works well and it is good to see on a saw at this price level. The sliding table works on four adjustable wheels and has a good clean action. 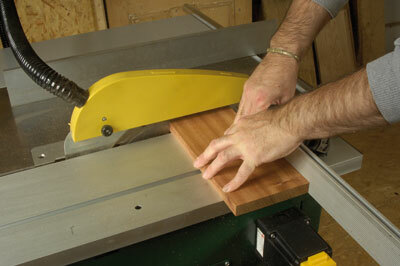 To change the blade, the table needs to be partially removed. The fairly standard mitre fence is both adjustable and accurate. 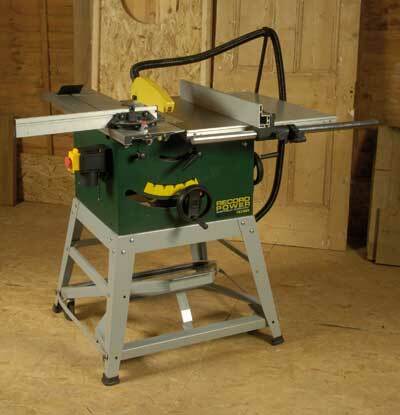 This saw offers a powerful 2hp motor and very smooth induction for a nice soft start. That both crosscutting and ripping are smooth actions is in part due to the motor. 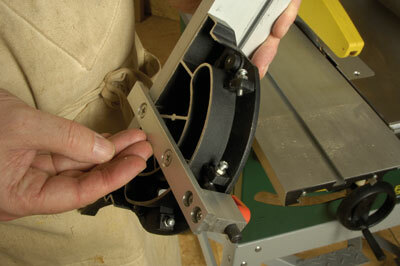 A ripping toe clamp is a useful addition, plus ripping height is a good 80mm at 90 degrees and 54mm at 45 degrees. 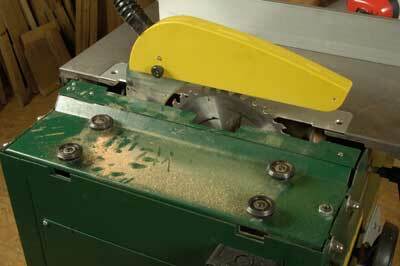 Dust extraction is well catered for with both crown guard and lateral provision. The induction motor is superb and the little sliding table is a joy to use. While this is not a professional saw, it is a well put together piece of kit which is capable of very accurate work, with good capacities for a small saw. 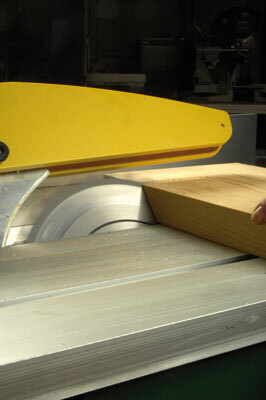 There are features on this saw that you will only find on much more expensive industrial machines, such as the double trunnions, cast table and the adjustable fence. The wheel kit is handy too and makes it easy to manoeuvre around and tuck out of the way when you need the space. All in all, this is a great package. "The induction motor is superb and the little sliding table is a joy to use"